Stop by and see this sweet doggy at the Bowie Animal Shelter. The Bowie Animal Shelter is full and there are some great animals in need of loving homes. The shelter is open Monday to Friday 7 a.m.- 4 p.m. and on Saturday 9:30 a.m.-2 p.m. You can reach Willy during the week at 940-841-1425. 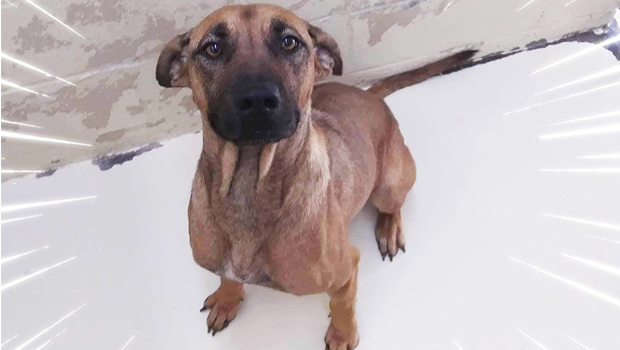 In you mid-week News see photos of pets available for adoption at all three county shelters including Lucky Paws in Nocona and Easy Street Shelter in Saint Jo. Please consider adopting a dog or cat if you are adding a pet to your family.